You probably read my earlier post about people being a bit bored of platformers, but hear me out. 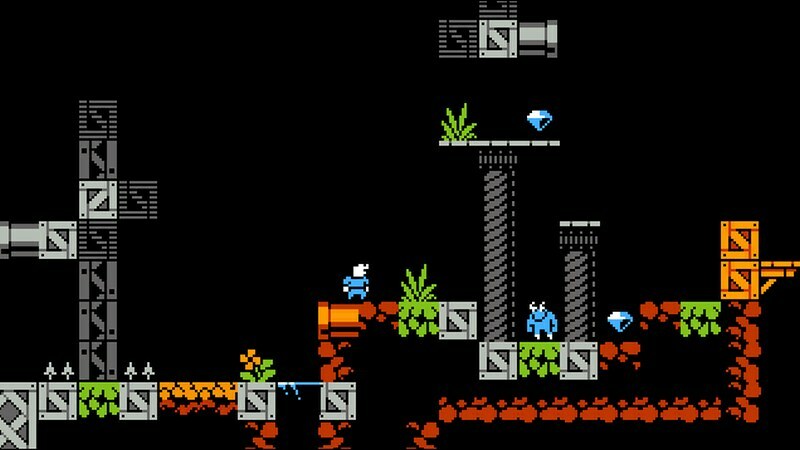 'Don't Crawl' which is going through a Steam Greenlight campaign isn't your average platformer, unlike the finish the level by jumping over enemies and picking up items along the way style of game, this one is not only retro inspired but it features a two player hero and enemy control system. One player controls the hero who tries to beat the levels whereas the other one takes control of the monsters and tries to kill the hero and then take their place! In regards to the two player control, the game features local (split-screen) and online multiplayer, including Steam Matchmaking, a built-in level editor, and maybe a Steam Workshop integration in the future. So if this game interests you, and you like controlling monsters, head on over to NikB's Steam Greenlight page and give ' Don't Crawl ' a Greenlight thumbs up!